Hong Kong / China has It's first EVER based TOP 100 DJ in the WORLD coming In at a whopping 48 !! n 2005, Sheffield-born Stone is a solid fan favorite in the region. His fans turned out in mass force to vote him into British dance music authority DJ Magazine's top 100 DJs list this year, making him the first China / Hong Kong - based DJ to crack the elite list. When Sasha's Involver Tour came to China in 2004, Stone was perfectly placed to introduce the DJ legend to the Middle Kingdom's dance floors. Stone played alongside Sasha at every stop on the tour, setting the tone for the Chinese debut of one of the world's most sought after DJs. Sasha's tour of China was a high-profile reminder that Asia's dance music scene, primed for years by booming economies and rapidly developing youth cultures, is on the verge of explosive growth. Stone's early years in the region, fuelled by the continent's infectious dynamism, saw him bring his own unique brand of electronic beats and breaks to Asia's best clubs, playing at Tokyo's Womb, Taipei's Ministry of Sound, Singapore's Liquid Room and Shanghai's Rojam, amongst others. This restless energy has translated off the decks as well. Stone is currently working on a series of tracks with UK genius Dylan Rhymes that will feature strong Asian influences. In the past, Stone worked with fellow expatriate Dan F as Sinosine to produce the critically acclaimed Two Systems / One Country, released on one of the UK's premier breaks label Mob Records. While still based in the UK, Stone made waves producing as Kayestone with studio partner Derek Kaye. Their remix of the 2001 crossover hit Questions (Must Be Asked) by David Forbes was tracklisted on best-selling compilations like Gatecrasher's Discotech Generation and Paul Van Dyk's Politics Of Dancing. 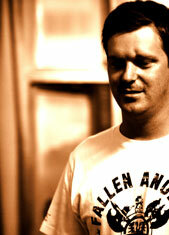 Kayestone's original productions were released by the highly regarded Distinctive Records after a spell with Whoop! Records. This October sees Stone setting up base in what is possibly the hottest city in the world at the moment--Shanghai--after nearly four successful years in Hong Kong. This coincides with the opening of a new Shanghai office for RNR Asia, the management and booking agency Stone helped start in May. RNR Asia's portfolio of events already includes the deep, subliminal vibes of Danny Howells at Shanghai's glamorous Park 97 and the Chinese debut of Australian innovators Nubreed. RNR Asia has also skimmed the cream of China's still untapped DJ talent with plans to break them on the international scene sooner rather than later. With China's seemingly limitless economic growth and Asia's increasing importance in a globalized world, the future direction of dance music appears to point unmistakably to the east.